GB has one in 12 ga over .222, looks pretty cool. Has anyone had experience with these? It appears to have the 12 ga threaded for choke tubes. Says Made in Finland. asking price might be a litle high but still wondering about the quality/versatility of one of these. east central fl. /n/c pa. I have one I bought new in around the 70/72 time frame. I added a see thru mount with a 1.5 x5 Leupold scope and sling swivels. They are a well made gun, probably the best ive seen of that type. Ive known a few others having them also, and none that didn't think they were a fine gun. That said, they are what they are, that being a single shot with either the shot or rifled barrel. 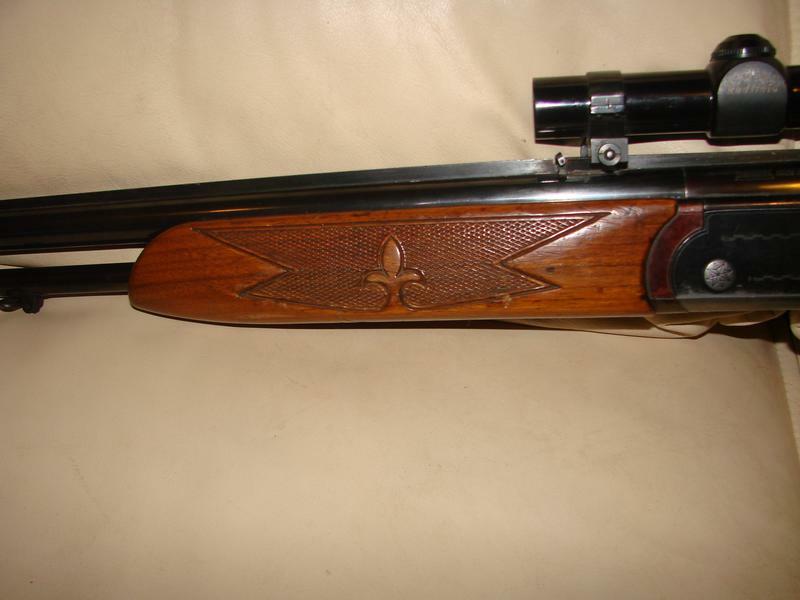 I would recommend a barrel band type swivel for the front, as the forend tends to come off when you attach to that. At least it did on mine unless I wrapped tape around it. It really dosent make for a good Grouse gun/Turkey gun which is why I bought mine. In fact there could be a good argument as to what they are good for. 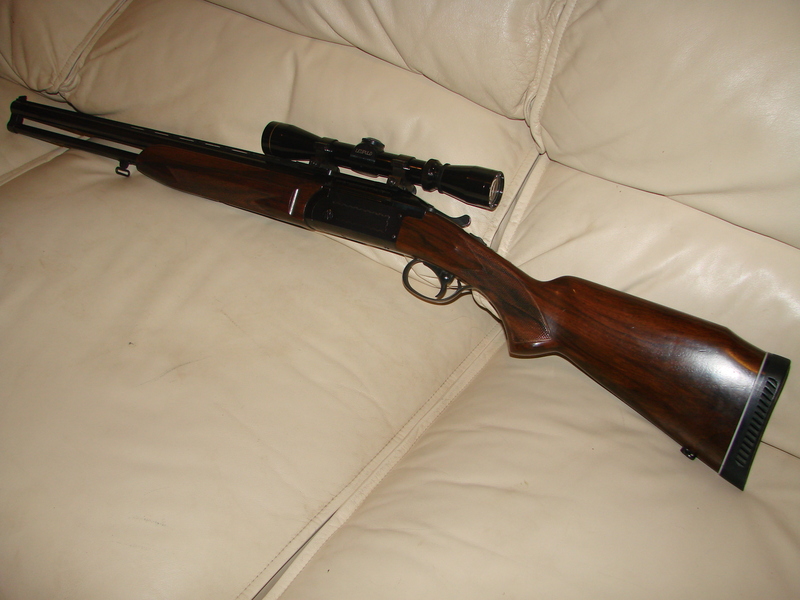 Mine just sits in the safe, as I find myself preferring other rifles for how im still able to hunt. Simpson's usually has a few on their site. Many guys who have them say that the single trigger makes them a bit awkward to use. How do you select which barrel to fire? There is a button on the left side of the frame that moves up and down to select the barrel you want to fire. I think that you need to install a hammer spur if you're going to mount a scope. Thanks, I doubt it will sell at $1100, I might keep it on Watch and maybe drop the hammer on it later. $1,100 is a really high price for a Tikka/Ithaca 55, like NIB high. Deals are few at Simpson, LTD., but their prices for Tikka/Ithaca 55s are a lot less than $1,100. this one advertises as a 12/70. is that just a fancier grade? or just quite overpriced? I believe that they are the same firearm with a different name. Since these are utility guns, I doubt that there was a higher grade. Erich and Luv2safari are the resident experts on combinations and drillings, so you're likely get the correct answer from them. Sorry to say, but I've reached the bottom of my pool of Tikka/Ithaca combination gun knowledge. They are nicely made, but there are plenty of better designs for use as a combination, and that price is very ambitious. aye, I thought it was abundantly priced, as well. Thanks for recent thread link! 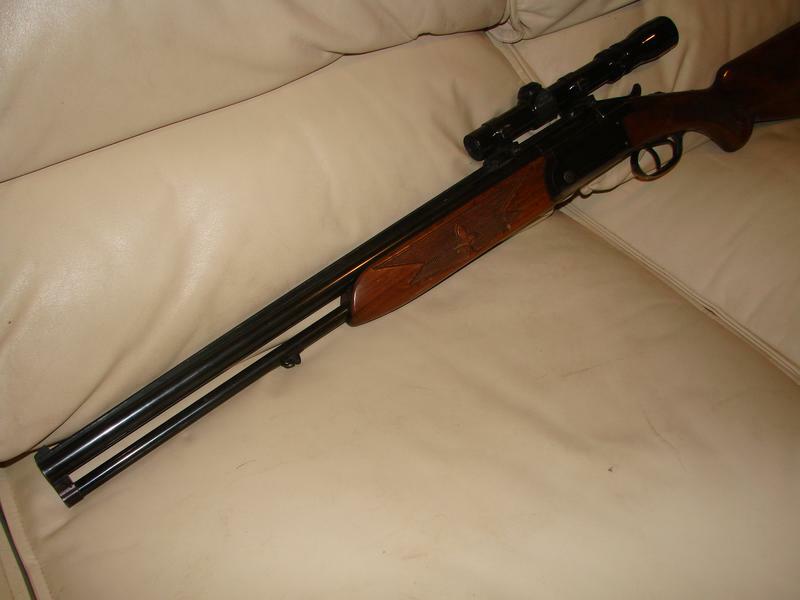 ONE of the nicer 12/.222 REM or 12/.308 combination guns is the SAVAGE Model 2400, which was built by Valmet. 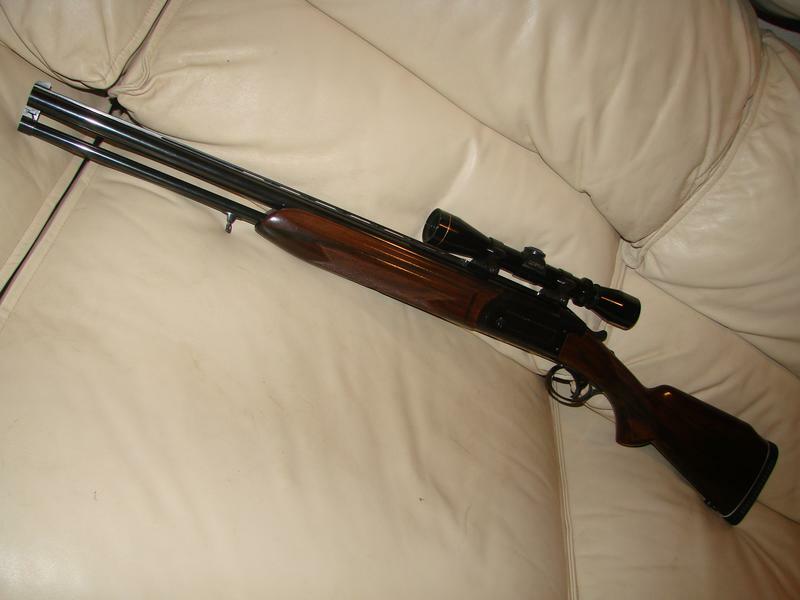 = I once owned a 2400 in the 12/.308 configuration & it was GREAT with a 2.5 Leopold scope mounted on it. = Alas, it was stolen in the burglary of my home, while I was on TDY & I've never found another one. 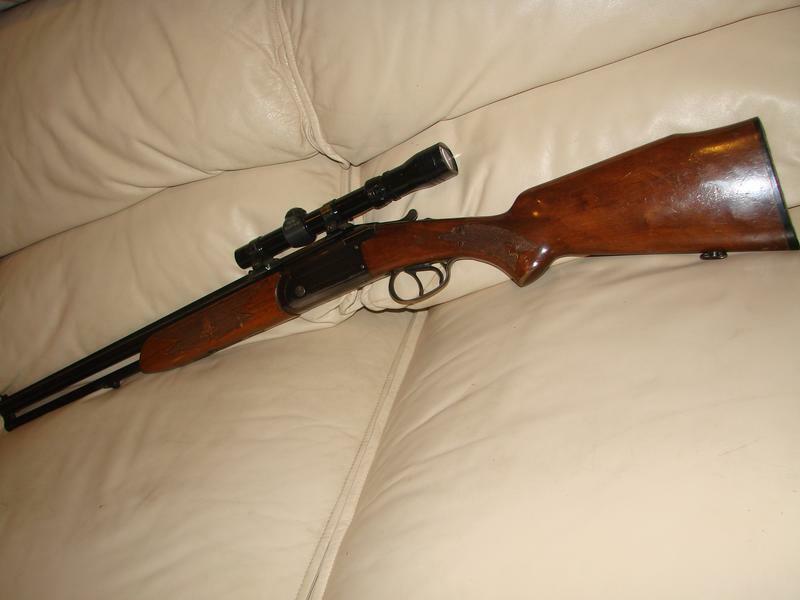 My first cousin has one that was once was in 12/.222 but he had it rebored to 7x57 Mauser for more PUNCH on deer/hogs. = I'd bet that the number of game animals that Randy has taken with it is numbered in the HUNDREDS from quail/ducks/jackrabbits/bobcats/coyotes/deer/hogs. The 2400 Savage was a big step up in grade and finish for sure. They had better bluing, better wood, and hand cut checkering. My grandson took a decent 3X3 mulie with this one last fall. It's 12/308 with an older Loopy 2-7. The Sako rings work well as QD mounts. Last edited by luv2safari; 04/02/19. The Valmet 300 series version had not-too-attractive pressed checkering and plainer wood. This is in 12/22HP and is a tack driver. They came in SST and DT configurations. I was able to find receivers in both. I gave this to a great friend in NW Oklahoma. He got me into a Bobwhite quail hunt of a lifetime and a nice whitetail doe during the Christmas holiday special doe hunt. I hunted with a post-war Sauer 16-8X57JRS drilling. 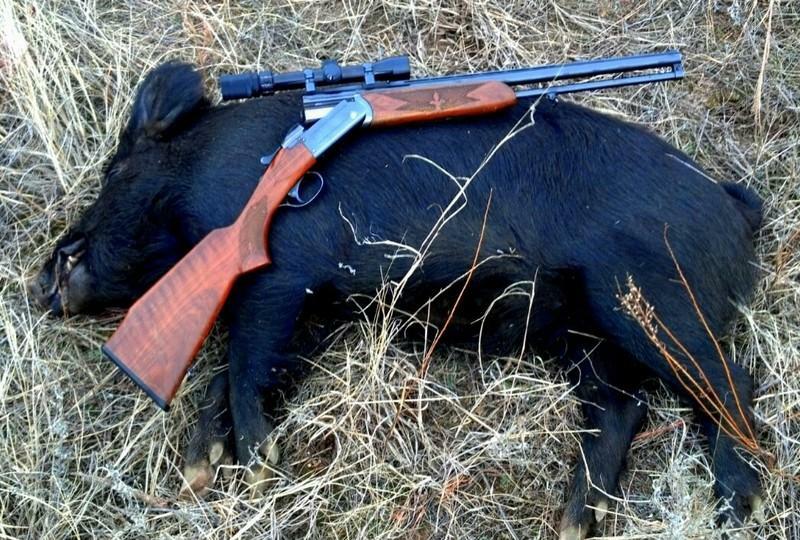 Paul routinely tips over hogs with this Valmet 12/222 Rem. IF I found another O/U 2400 & with a .222REM barrel, it would be rebored to 5.56NATO quickly OR (more likely) it would head to Jessie at JES to be reborn as a .257 Roberts or 7x57mm Mauser, as .the .222REM isn't often available here in South TX. - I'm sure SOMEBODY routinely has it in stock but seldom is my guess. Note: IF a .222 is rechambered to the NATO cartridge specs, it can SAFELY fire both .223 REM & .5.56NATO. = YES firing the NATO cartridge in a .223 chamber IS DANGEROUS. NOTE: IF you have a Model 2400 in any caliber OR one of the similar combination guns that is branded as a VALMET that you wish to sell, please PM me with photos/price. JES can't rebore combo gun barrels. I asked him about it several years ago. If he could I would have a 12/9,3X62. If he is set up to do them now, someone please tell me. nothing like using a proper tool for the job! 503 registered members (19352012, 222ND, 1911a1, 2500HD, 12344mag, 10ring1, 65 invisible), 1,166 guests, and 662 spiders.